Providing Infrastructure and Energy Solutions to Guyana, South America and the Caribbean. GreenHeart Tree Energy (GHTE) is focussed on answering the growing needs of the developing Caribbean by providing access to affordable green energy solutions including solar PV power plants. Our company is committed to ensuring all stakeholders benefit from our projects with a specific focus on local community development. GHTE is focused on providing local residents with jobs, technical skills and knowledge wherever and whenever possible. As a business, one of our measurements of success will be our ability to provide a solid return on investment for our shareholders. Our corporate culture which is shaped by our commitment to empathy, fairness, compassion, social responsibility, ethical business practices, creation and development of wealth, building relationships, professionalism and respect for the environment. We are connected to the communities we serve. All business is conducted with integrity and we strive to provide quality materials and designs that support environmental stewardship utilizing local expertise whenever possible. GHTE’s VP of Engineering Chris Langford, VP of Finance Ashton Ward and VP of Sales and Marketing Tom Krupa at Guyana Energy Authority Offices in Guyana. GHTE Team on a site visit to Guyana Water Inc. Water Treatment Plant at Eccles to discuss designing a solar power energy system for the plant. Solar energy is a completely renewable resource and creates absolutely no pollution. This is a most important advantage that makes solar energy so much more practical than oil. Solar power technology is improving consistently and people are beginning to understand all of the benefits offered by this incredible technology. For homeowners, businesses rooftop solar is increasingly cost-effective. Technology price reductions, innovative financing, and a growing number of solar installers have helped to drive down the prices for household systems in the United States by 45% percent from 2010 to 2014 according to the Union of Concerned Scientists. We intend to build homes for the low, middle and high income sectors of the Guyana market. Each home will be equipped with an affordable solar system. GHTE currently has two model homes completed. Wind energy is one of the fastest-growing energy sources in the world.It's a cost effective clean fuel source with a domestic source of energy.Over the past 10 years, cumulative wind power capacity in the United States increased an average of 30% per year, outpacing the 28% growth rate in worldwide capacity. Hydro power is fueled by water, so it's a clean fuel source and is also a domestic source of power. Some hydropower facilities can quickly go from zero power to maximum output. Because this hydropower plants generate power to the grid immediately and provide essential back-up power during major electricity outages or disruptions. The electric grid of the future must be resilient, reliable, and local. This means Microgrids. National electric grids are under increased threats from extreme weather events, old age and physical attacks and investing in your own grid can mitigate risks. Microgrids put you in control of your energy decisions. They can be built in phases, allowing your electric grid to grow as your business or needs do. While the way we use electricity has evolved over the years, how we transmit that power hasn’t changed. The Smart Grid is a modern electricity system. It is composed of intelligent electricity infrastructure that uses advanced communications and control technology to improve the flexibility, reliability, and efficiency of the electricity system. The Smart Grid will help consumers’ conservation efforts, manage energy costs and integrate new beneficial technologies like electric vehicles and storage.Sophisticated smart grid systems are needed in order to strategically manage the diverse and geographically scattered renewable power sources like wind farms, solar plants, and hydro stations. Smart grid will ensure that this energy can be stored safely and distributed where and when it’s needed. 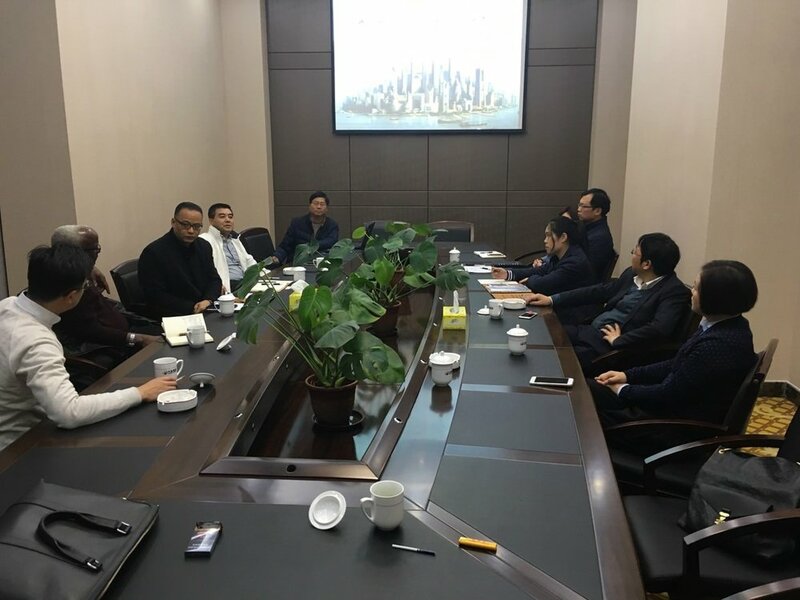 GreenHeart Tree Energy (GHTE) is a consortium of successful Canadian businessmen with partners in China. Managed by CEO Esmonde Klass the company brings together experts with international experience to successfully execute deliverables. The founders are accomplished engineers and successful business leaders with international experience in business ventures in The Caribbean, China, Europe, Canada, Africa, Central America and South America. GreenHeart Tree Energy team with Guyana Water Inc. (GWI) engineers. A successful Guyanese – Canadian businessman involved in creating partnerships to generate, distribute and deliver green energy in addition to owning and managing other businesses. Esmonde held senior management positions in major insurance companies in Canada before embarking on his own business endeavours. He has forged unique partnerships to build companies within Canada and Internationally. Esmonde also has experience in venture capital, mergers and acquisitions. Esmonde’s main focus is to create business environments that support respect, empathy, fairness and personal improvement for employees while providing solid returns for share-holders. Tom Krupa is foremost a people person and Canadian entrepreneur. Tom can connect people, motivate them, and organize complex business structures and projects. He sees the potential in business opportunities quickly, a skill he developed from his vast experience working across many fields. Tom is also an experienced CEO, highly skilled in various disciplines including business management, project management, engineering and technical design. He is the founder of two successful companies - Apurk Ltd. a trading and sourcing company based out of Toronto Canada and Tomalex Wood’s, a high end furniture manufacturing company that produced furniture for hotels such as Hyatt, Holiday Inn, Mutni in Miami and Donatello in California. Steven, an electrical engineer is an experienced global operational leader, with significant experience bridging North American and European business activity with China and operational management of large size organizations responsible for hundreds of millions of Euro in revenue. In his 20-year career, Steven's experience includes 7 years in SKF 12 years in Schneider-Electric and 4 years in Alstom Grid. His specialties include sales and marketing, manufacturing, and full P&L management along with power distribution, power transmission, and industrial automation. Steven has also been the leader of renewable energy technology in Schneider-Electric China. Chris is the founder of EME Engineering Inc. located in Barrie, Ontario. EME provides specialized electrical and mechanical engineering design services for residential, commercial, institutional and complex buildings with specific experience and focus on alternative energy projects across Ontario and internationally. Chris began his career at Honda Canada specializing in industrial automation, industrial safety and plant level power distribution. Chris has been involved with over 500 grid tied solar PV projects including roof top and ground mounted projects in Ontario (greater then 70MW), in Costa Rica (150MW), in Romania (30MW) and in Ghana (50MW). Chris is considered to be one of the leading technical experts of design and implementation of solar PV grid tied systems in Ontario and Canada. Ashton is a seasoned banker and financial consultant with 25+ years experience in the financial industry. He is currently the Principal Broker of a licensed Mortgage Brokerage Company. Principal activity involves advising clients on financing for commercial, residential and construction projects throughout Ontario, Canada and Internationally. Ashton led the financing of multi-million dollar commercial projects and multi-units construction projects. Ashton is considered a specialist in in-fill residential construction financing and over the past two years has been involved in financing some $40 Million in private lending across all segments. Lindsay is a Guyanese-Canadian Public Affairs expert with extensive experience and skills in strategic communications, issues management and media relations. A former journalist, Lindsay began his career as a beat reporter at the Guyana Chronicle before moving to Canada where he wrote for a number of publications including the Globe and Mail, the Toronto Sun, Contrast Weekly Newspaper and Share Newspaper before turning to Corporate Communications. As a Communications Manager, Lindsay provided communications counsel to the President and senior executives at Bell TV. He later moved to the Ontario Government where he provided strategic communications advice to the Minister and political staffers at the Ministry of Health Promotion and Sport and subsequently became media spokesman and communications advisor at the Ministry of the Environment and Climate Change. Li Hui (Andy Li) is a successful businessman with a background in finance, international trade and investment and significant experience in procurement management. He is currently the General Manager of Shanghai Outsmart Industrial Co., Ltd, a material provider of electrical cables and specifically an LED tubes and Micro Grid systems provider to Canadian markets. Andy also serves as General Manager of Xingfa International Co., Ltd with responsibility for developing the Mexican market for water treatment and filtration systems and water pump and pipe systems. Additionally Andy is a partner in two media companies in Shanghai. Llewie Armstrong is a retired Mechanical Engineer with over 35 years of experience in the Hydro Electric Generation Industry in Ontario, Canada. He retired as the Senior Plant Engineer for Ontario Power Generation, the major hydro-electric power supplier in Ontario. Llewie was involved in designing efficiency upgrades for the hydro turbines at The Sir Adam Beck Generating Stations in Niagara Falls. This included trips to Switzerland and USA to witness and verify efficiency testing of different turbine modules, and to verify that manufacturers were following design specifications. Winston Cameron is a retired Civil Engineer with 32 years of experience. He began his career as a Field Engineer with A.G. McKee where he supervised the construction of major infrastructure works in one of the process units for a new refinery at Nanticoke, Ontario, Canada. Winston returned to Guyana in July 1976 and worked as a Project Engineer for GuyConstruct, the construction arm of the Guyana Bauxite Company in Linden. During that time, he designed and was responsible for the construction of the new Washer Pond Road. He then came back to Canada in August 1977 and resumed his career with A.G. McKee. Shanghai Jinling Intelligent Electric Meter Co., Ltd.
GHTE has signed Non-Disclosure Agreements (NDA(s)) and Memorandum Of Understanding (MOU(s)) with all of our partners. On many of our projects we are engaged in Joint Venture Agreements (JV(s)) with our partners. In some projects they act as suppliers and provide direct savings to GHTE. These signed NDA(s), MOU(s) and JV(s) ,with established international partners , are an indication of the financial strength and project completion capacity that GHTE brings to the table on any project where our partners are involved. GHTE benefits by having a world-wide basket of experience to draw upon. 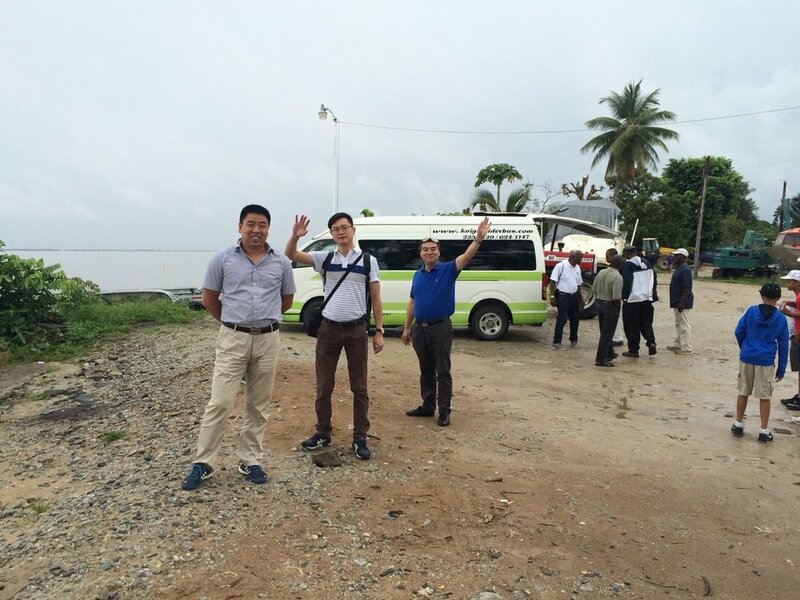 We have traveled to meet with our partners and see their operations and they in turn have visited Guyana to gather information about investment opportunities and also meet with the relevant decision makers to learn about policies and development plans. The photos capture these moments.